1 hour from TOKYO or NAGOYA, to SHIZUOKA station by Tokaido-Shinkansen “HIKARI”. 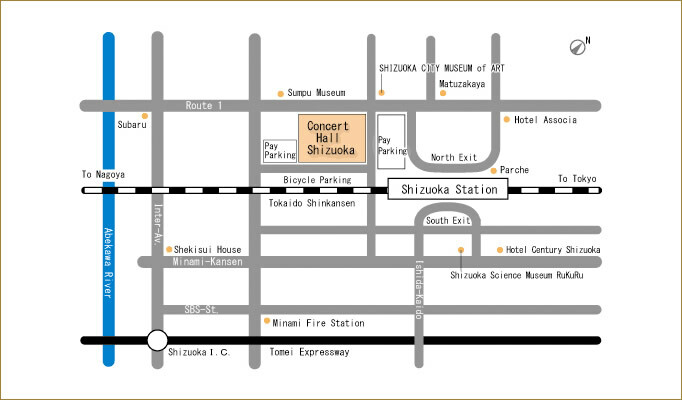 CONCERT HALL SHIZUOKA is 5 minutes’ walk from SHIZUOKA station North Exit. 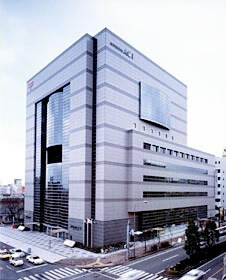 Located in Shizuoka Central Post Office Building. Information Desk (Box Office) is located on the 7th floor, and the Hall is on the 8th floor. Copyright © 2006- Concert Hall Shizuoka. All Rights Reserved.